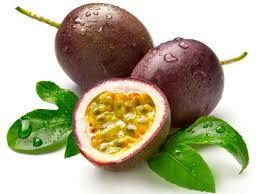 Home > Articles > How to eat passion fruit? The passion fruit is called passion fruit, maracujà or even granadilla, depending on the country in which it is grown and eaten. The area of ​​origin of this fruit is Brazil although it is currently cultivated in Sri Lanka, Peru, Australia, India, South Africa, Hawaii and other countries in the tropical climate with very hot temperatures. There are many varieties of passion fruit with different bearings, from vines to bushes, from line loses to creeping herbs; it can even be an annual or perennial plant depending on the place and the variety of passion fruit. The passion fruit is round oval in shape, measuring about 7 cm in diameter and is very similar to an egg. Some varieties are producing a very small fruit, the size of a pea, as in the case of the Passionate variety. The pulp of this fruit is particularly fragrant, of a transparent and gelatinous green color, with a pleasant sweet and sour taste. It contains dark seeds inside which simply break under the teeth giving a particular sensation to munch the pulp. The peel is thick and not edible in purple, red or yellow depending on the variety of fruit. The passion fruit flower is one of a kind, hermaphrodite and with dimensions ranging from a few millimeters to several centimeters. Ppassion fruit is eaten fresh simply by opening the fruit in two and eating the gelatinous pulp with the help of a teaspoon. In the countries of origin, it is opened with the hands and sucked the pulp without the use of any tool. In addition to eating the natural passion fruit, it is used for the preparation of fruit juices, drinks, and cocktails. Smoothies and alcoholic or non-alcoholic beverages that want to have a touch of exotic can have the passion fruit as a special ingredient. It can also be used in sorbets, mousses, creams, desserts, sauces, and jams. The combination of passion fruit and yogurt is a classic in many countries where this fruit is common. Its sweet and acidulous taste allows the accompaniment of dishes based on fish or seafood. To choose passion fruit at the right maturation you can feel the consistency of the peel that must become slightly wrinkled and foldable to the touch. The smell is another good indicator for the ripening of the fruit and once purchased can be stored in the refrigerator for a week or even outside the refrigerator but in this case, it will ripen faster. Pasion fruit n can be frozen whole or only its gelatinous pulp to be then subsequently used for some culinary preparation with an exotic flavor. So, it really doesn’t matter what kind of food you prefer, passion fruit is a versatile ingredient you can easily add to your most common recipes to recreate an exotic and alternative touch while nourishing your body with vitamins and mineral salts fundamental to our health.